The US president has urged Kenya to hold “visible” trials to tackle corruption, which he said could be the “biggest impediment” to further growth. After talks in Nairobi, President Obama and Kenyan counterpart Uhuru Kenyatta said they were “united against terrorism” and efforts to deal with it. But the two leaders differed sharply in their positions on gay rights. 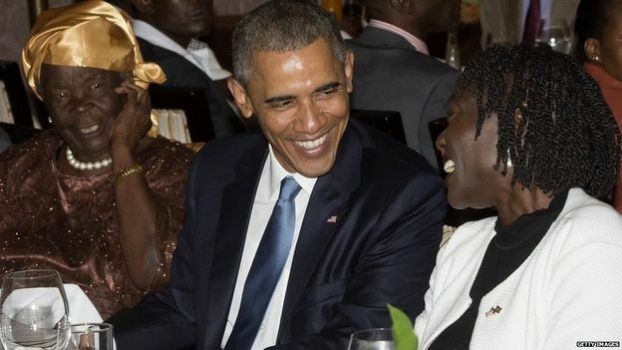 While Mr Obama spoke strongly against discrimination, Mr Kenyatta said Kenya did not share the same values. Earlier Mr Obama praised Africa’s economic and business potential in a speech.